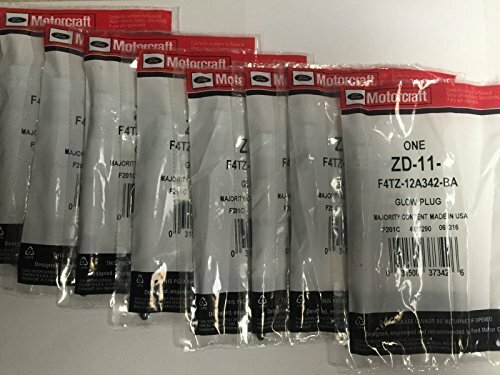 Diesel Glow Plug MOTORCRAFT ZD-13 fits 04-07 Ford F-250 Super Duty 6.0L-V8.....This part generally fits Ford vehicles and includes models such as E-350 Super Duty, E-450 Super Duty, Excursion, F-250 Super Duty, F-350 Super Duty, F-450 Super Duty, F-550 Super Duty with the trims of Base Cab & Chassis 2-Door, Base Cutaway Van 2-Door, Base Extended Cargo Van 2-Door, Base Extended Cargo Van 3-Door, Base Standard Cargo Van 2-Door, Base Standard Cargo Van 3-Door, Base Stripped Chassis, Eddie Bauer Sport Utility 4-Door, FX4 Crew Cab Pickup 4-Door, FX4 Extended Cab Pickup 4-Door, FX4 Standard Cab Pickup 2-Door, Harley-Davidson Edition Crew Cab Pickup 4-Door, Harley-Davidson Edition Extended Cab Pickup 4-Door, King Ranch Crew Cab Pickup 4-Door, King Ranch Extended Cab Pickup 4-Door, Lariat Cab & Chassis 2-Door, Lariat Cab & Chassis 4-Door, Lariat Crew Cab Pickup 4-Door, Lariat Extended Cab Pickup 4-Door, Limited Sport Utility 4-Door, XL Cab & Chassis 2-Door, XL Cab & Chassis 4-Door, XL Crew Cab Pickup 4-Door, XL Extended Cab Pickup 4-Door, XL Extended Cargo Van 2-Door, XL Extended Passenger Van 3-Door, XL Standard Cab Pickup 2-Door, XL Standard Cargo Van 2-Door, XL Standard Passenger Van 3-Door, XLS Sport Utility 4-Door, XLT Cab & Chassis 2-Door, XLT Cab & Chassis 4-Door, XLT Crew Cab Pickup 4-Door, XLT Extended Cab Pickup 4-Door, XLT Extended Cargo Van 2-Door, XLT Extended Passenger Van 3-Door, XLT Sport Utility 4-Door, XLT Standard Cab Pickup 2-Door, XLT Standard Cargo Van 2-Door, XLT Standard Passenger Van 3-Door . The engine types may include 6.0L 363Cu. In. V8 DIESEL OHV Turbocharged. This part fits vehicles made in the following years 2004, 2005, 2006, 2007, 2008, 2009, 2010. O.E. 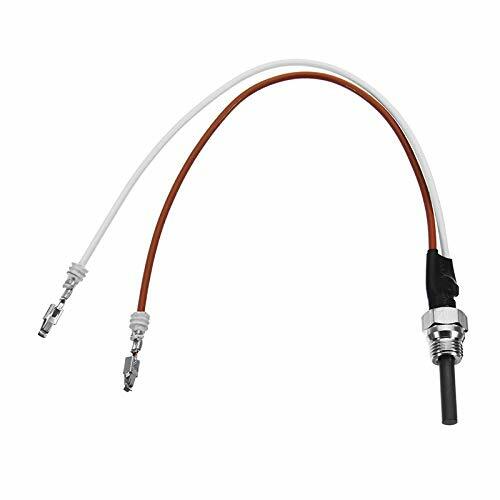 spec connectors ensure precise fit and easy installation. Regulating and heating coils designed for fast heat-up of the glow tube. Glow tube resists corrosion and vibration for long service life. Conical seat ensures a positive seal with the combustion chamber. This is a 100% Brand New Bosch Item. This item comes in Bosch packaging. BEWARE of the cheaper fake, used, or copied products that fail within a few months - TRUST BOSCH QUALITY. Designed, engineered and recommended by Ford Motor Company. 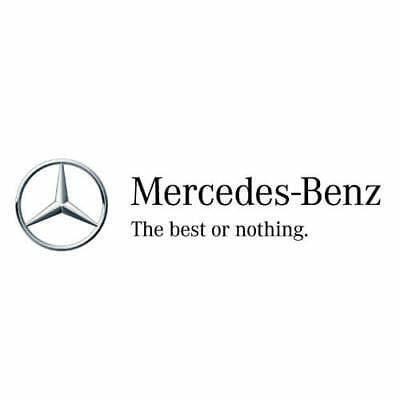 The name says quality, dependability and performance. Motorcraft parts are the preferred choice of Ford Motor Company. From motor oil to transmission assemblies and everything in between, Motorcraft parts provide exceptional quality and fit. You expect the best, and with Motorcraft , you get the best. The right part for the job. Motorcraft parts are designed specifically for Ford, Lincoln and Mercury vehicles and have undergone extensive laboratory and on-the-road testing. They're built to maximize the performance of Ford, Lincoln and Mercury vehicles. And the comprehensive product line provides unmatched coverage. Whatever part you need for the job, Motorcraft has it. Faster, hotter plugs! Military trucks only, made in usa. 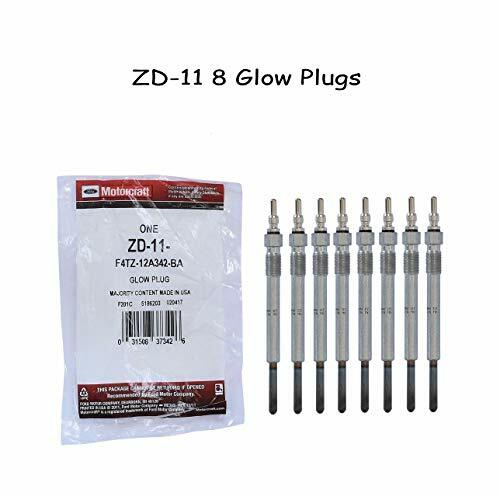 Premium dual-element, self-regulating glow plugs. (Set of eight). Made for us by wellman usa. These plugs fit 24v 6.2L & 6.5L diesel military HMMVW's only . (Not for the CUCV.) 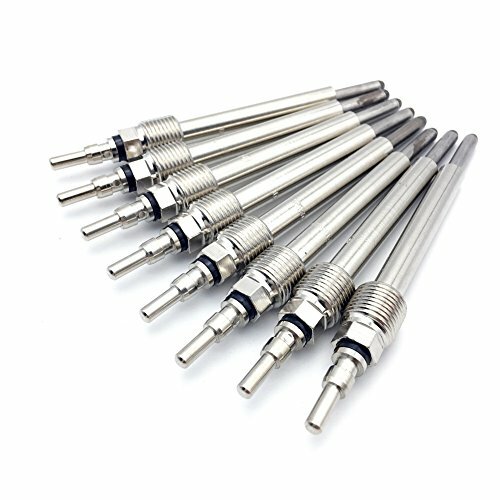 We do offer glow plugs for the civilian trucks as separate listing). These plugs have a special bullet connector. (The non-military 6.5 Plugs have a standard spade). 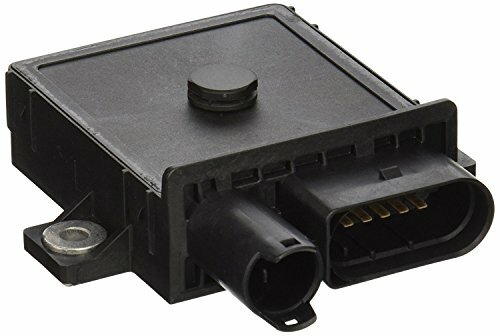 Look at you connector to be sure this is the correct plug for your truck. If it has the bullet, this is your plug. 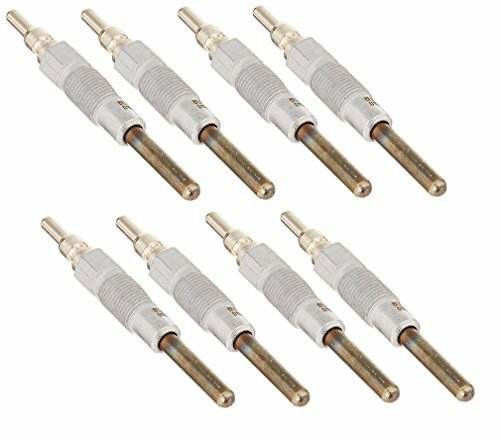 These updated plugs offer an improvement in cold weather starting. Considerable design effort has been put into these new plugs to ensure that they not only start better, but have improved service life. Special attention has been paid to the plug tips in order to minimize potential swelling that can occur as the plugs age. Some lesser plugs can swell so big at the tip that they won't come back out of the head, that's a problem you don't need. Tested two times at the factory before shipping. Pricing is for the complete set of 8. Made in indiana, in the good 'ol usa! Warranted for one full year. Worldwide restrictions on automotive exhaust gas emission and the promotion of low pollution vehicles are a reflection of our awareness of the need to protect our environment. Not surprisingly, manufacturers of diesel-powered vehicles are hard at work developing new technology designed to meet increasing restriction on exhaust emissions. 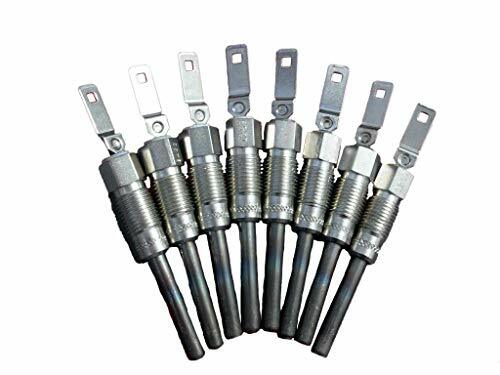 Although Glow Plugs were originally developed as a method for improving the starting performance of diesel engines, technology has developed to the point where glow plugs also contribute to the reduction of exhaust gas emissions. 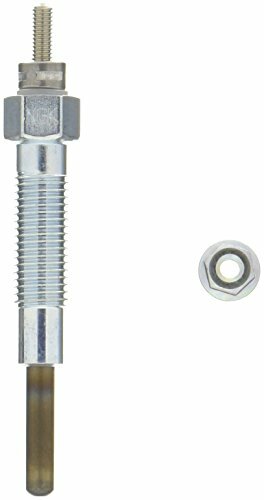 Highly durable NGK glow plugs are superior for heavy-duty diesel applications providing quicker starts and lower emissions. Corrosion and abrasion resistant. Constructed from durable material. 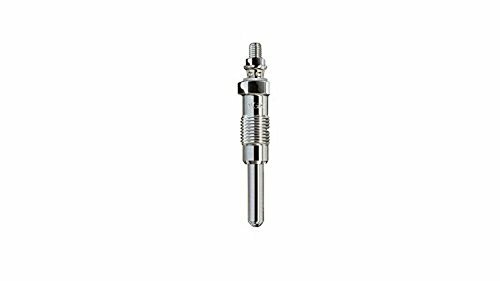 NGK glow plugs feature the latest in technology. Count on NGK to deliver the finest quality products. With a long history of diesel fuel injection expertise and innovation, Bosch leads the way in glow plug technology with its patented Duraterm dual control coil design. This technology utilizes a self-regulating system that reduces glow wait time by more than 50%. 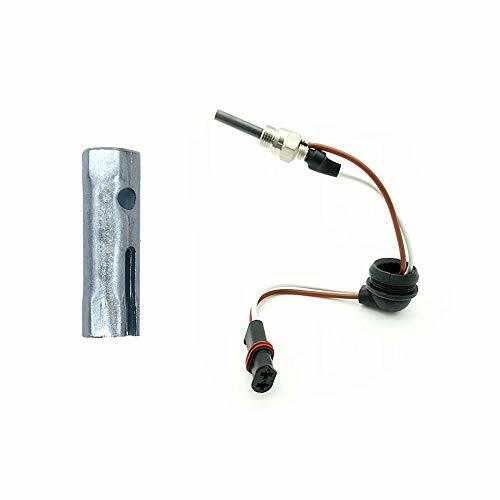 The patented dual control regulating and heating coil system effectively directs current draw, enabling the glow plug to reach higher temperatures more quickly for faster engine start-up. For vehicles with a post-glow control system, this advanced technology results in a post-glow heating phase which allows for more efficient overall engine performance. 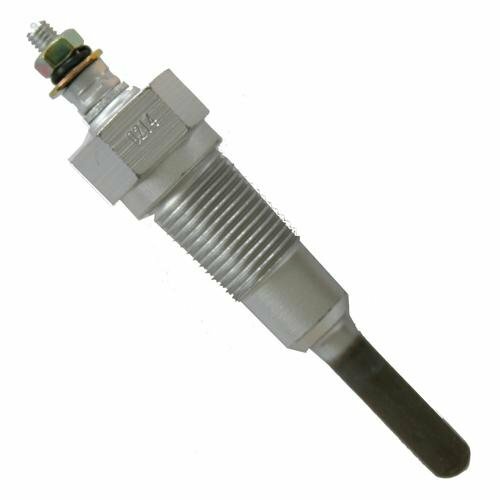 If one glow plug fails, chances are the others won't be far behind. 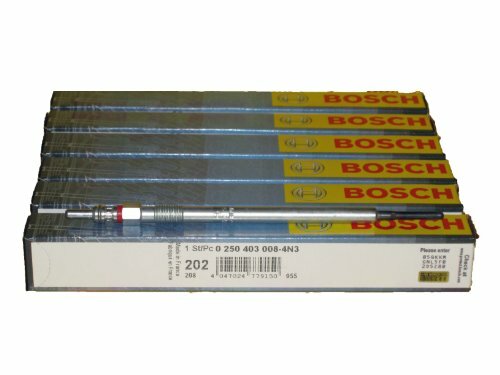 To minimize vehicle down-time and save on labor costs, Bosch recommends changing all glow plugs at the same time. 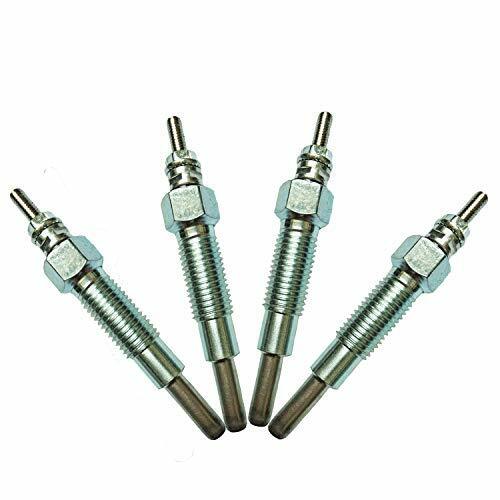 Ensun is an Aftermarket Brand, Provide OE Quality Diesel Glow Plug. Professional Glow Plug ACDelco's Professional Spark Plugs meet a wide range of vehicle applications and budgets, making them the perfect choice when it is time to replace your plugs. Choose from our Iridium, Platinum, Conventional, Rapidfire and Marine lines depending on your performance needs. 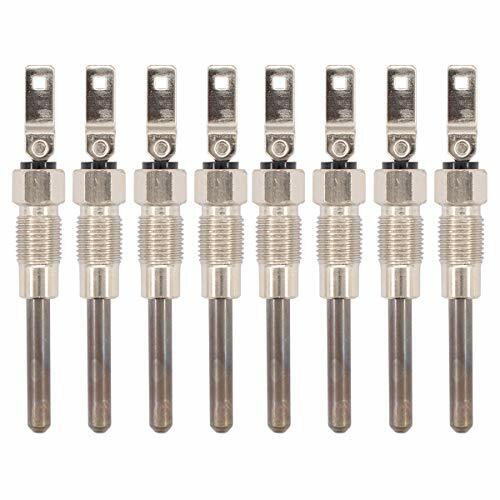 And, diesel drivers also can get the ACDelco advantage with our high-quality Glow Plugs. We've got a plug for almost any vehicle on the road today. Specially designed to give diesel engines the heat they need for cold starts, these ACDelco Professional Glow Plugs will maintain ignition in all cylinders, improving throttle response and reducing exhaust emissions. For dependability and long-lasting performance, use ACDelco glow plugs. Twice as hot, twice as fast, lasts longer - made in USA. 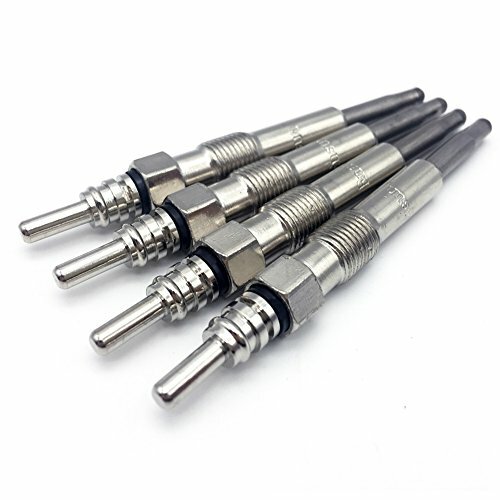 Premium Wellman, dual-element, self regulating glow plugs. 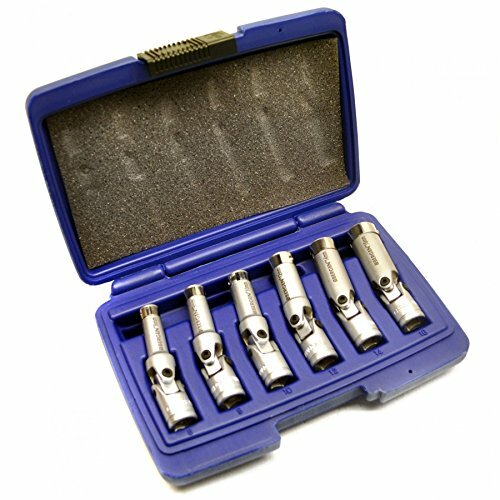 Manufactured by Wellman usa, (listing/pricing is for a set of eight). These plugs fit any non-military 6.2 Or 6.5. 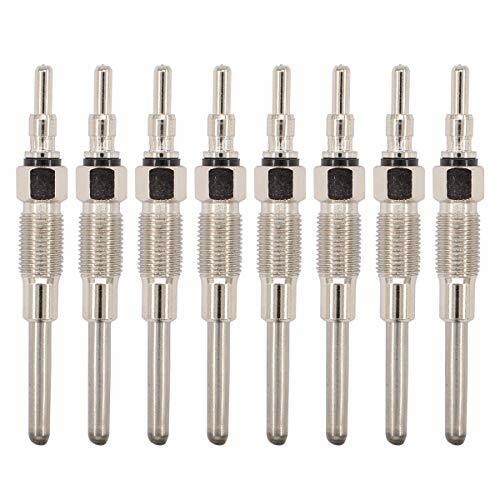 These plugs heat up twice as fast and get nearly twice as hot as the original plugs that gm had back in the 80's & 90's, yet they are not prone to the swelling experienced with some oem plugs. Check out the test results of the side-by-side comparison pictures. (Wellman plug is on the right) both plugs were new, both powered from the same battery at the same time, with the same size wire. - Wow - look at the difference! After 20 years, there have been many updates and improvements to this plug design. Wellman made the original 60g plugs for gm during initial production of the 6.5 During the 80's & 90's, now they made them better! These updated plugs offer a noticeable improvement in cold weather starting. Considerable design effort has been put into these new plugs to ensure that they not only start better, but have improved service life. Special attention has been paid to the plug tips in order to minimize potential swelling that can occur as the plugs age. Some lesser plugs can swell so big at the tip that they won't come back out of the head, that's a problem you don't need. Amazingly the new plugs also draw less amperage than the oem plugs did. Why use the 20 year old technology of the old AC Delco 60G plugs when there is a vast improvement available for the same price or less? These plugs offer superior starting over any competing plug on the market today. Tested two times at the factory before shipping. Pricing is for the set of 8. 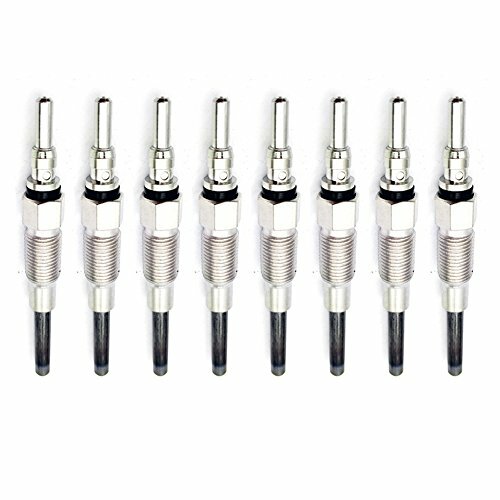 These plugs will fit any 12v (non-military) 6.2 Or 6.5 Diesel engine, including marine applications. Made in Indiana, in the good 'ol USA. Warranted for one full year. 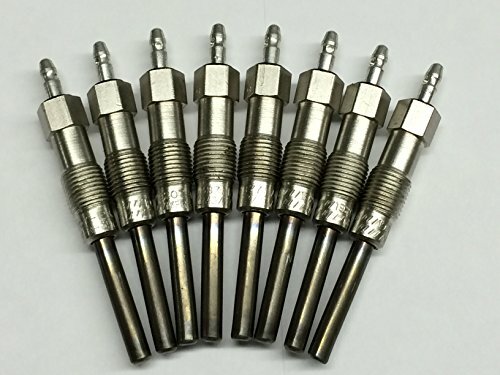 This is a Brand New KUMAR BROS USA Glow Plug for KUBOTA This Glow Plug Is suitable for Kubota 03 & 03M Series Engine Our Part# KBEL101GP Directly replaces BOBCAT Part # 6655233 Applications Suitable For : Bobcat: S-185 Skid-Steer Loader Kubota Engine: 3 Series V2203 Please Note: Kumar Bros USA sells aftermarket parts designed to fit Bobcat equipment. 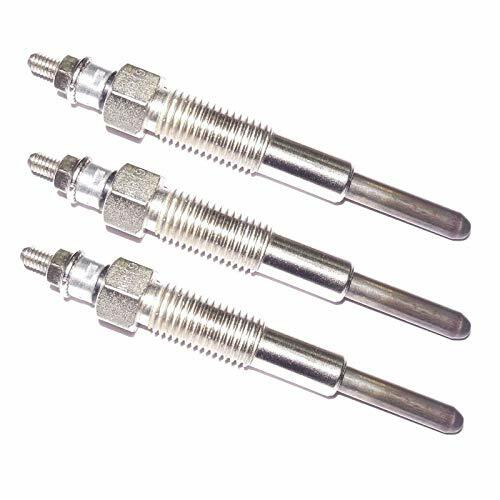 NGK Glow Plug is manufactured to ensure fast ignition even at temperature below freezing point. It is constructed from durable material which is corrosion and abrasion resistant. 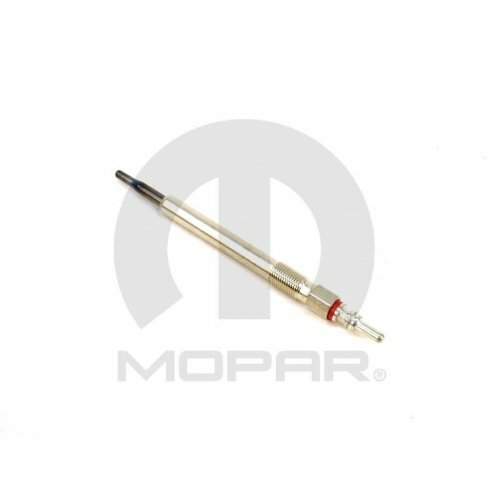 This glow plug is fitted in the cylinder head and the glow pencil protrudes into the glow chamber which helps heat up the air in the chamber up to 800 degree. This enables the diesel fuel to be ignited more quickly. It ensures longevity and can be easily installed. 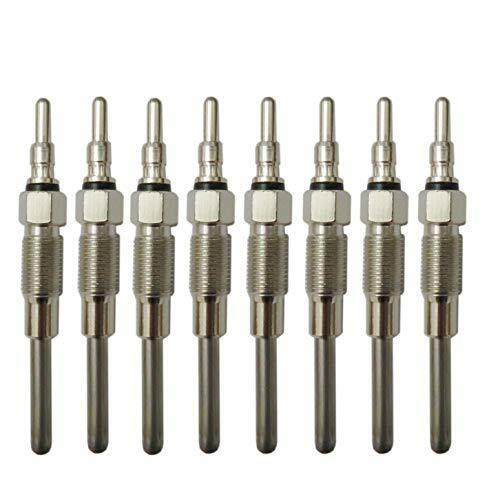 Bosch Duraterm Glow Plug is designed with a self-regulating system that reduces glow wait time by more than 50 percent and enhances engine performance. 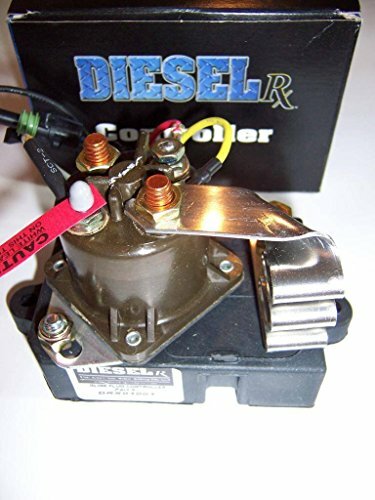 It includes a heating coil and a patented dual control regulating system which enables the glow plug to reach higher temperature. 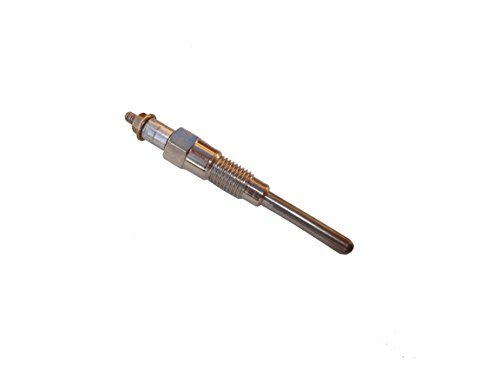 This glow plug is corrosion resistant as well as guarantees better fuel combustion and is backed by 3 year warranty. 2) All dimensions are measured by hand, there may be small deviations. 3) Color may vary slightly due to the color setting of each individual monitor. Physical manufacturing, safe and environmental, no radiation to the human body. Car accessories, Motorcycle accessories, Replacement and Repair equipment include: Car Care Accessories, Keyless Entry Remote and Fob, Nuts & Bolts & Clips, Car Connector Plug, Mirrors & Accessories, Theft Protection, Grips & Handlebar, Turn Signal Indicators, Motorcycle Glasses, Decals & Stickers, Motorcycle Covers, Car Electronic. Compatibility info provided only for US models. VW 2-Wire diesel glow plug wiring harness. Manufactured from superior quality materials. Offer maximum durability and precise performance. Fitment: 1998-2003 Volkswagen Beetle 1.9L L4; 1997-2001 Volkswagen Golf 1.9L L4; 1997-2001 Volkswagen Jetta 1.9L L4; 1996-1997 Volkswagen Passat 1.9L L4 (Only for US models). 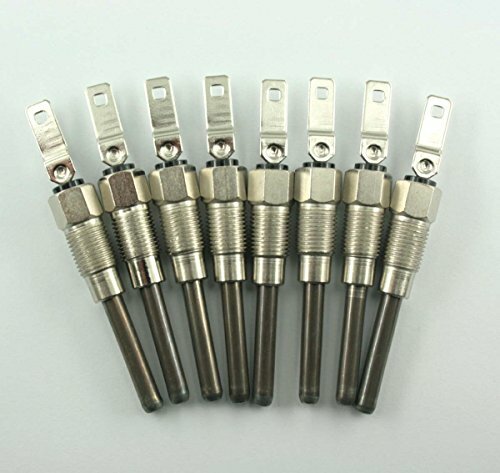 Set suitable for removing the hard to reach glow plugs. Double deep and a metal insert inside to hold the plugs. The socket also features a universal joint and an extra long drive pin for awkward and hard to reach areas. Manufactured from chrome vanadium steel for strength and durability. 3/8" drive so will fit any 3/8" drive ratchet / bar etc. Total length of the glow plugs 72mm. 3/8 drive so will fit any 3/8 drive ratchet / bar etc..